For surfers, a typical day includes checking if there are any waves, having breakfast, and surfing the entire day. This is also true for Andrew Wilsnagh on a day off. 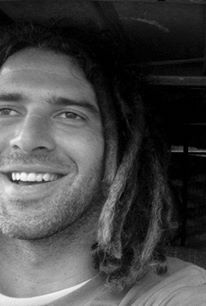 Andrew began surfing at about 12 years old and attended Rondebosch Prep and High but eventually left because he hated it and went to Art College. His father was disappointed but his mother (who is originally French) was more supportive. 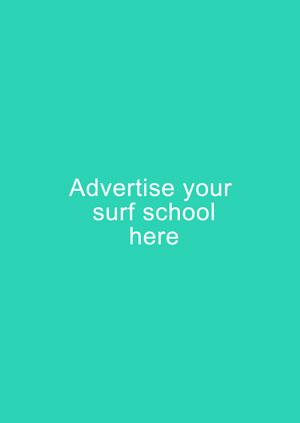 Without any restrictions at school and having a passport on hand, Andrew gave studying a back seat and put surfing in the driver’s seat. But before long, when he reached 16, he became involved into school clubs and that became his priority. It took 3 years for him to stop surfing. Fortunately with some friends, Lyndon Read and Hamish Hogg, he was brought back into boards again. “I left the needle in my mid-twenties”, he says. He started to surf more but it was only at the age of 27 that he truly re-discovered surfing. On a surf trip in Cornwall along with his mate Dave Colema, Andrew made a big mistake due to a hangover. “I bent my knee the wrong way and couldn’t walk, work or surf for about 6 or 7 months”, he recalled. On the 7th or 8th month, he felt surfable strength returning, and so he bought a board and scored the sickest Croyde (North Devon). He promised himself that if there are waves the next morning, there will be no time for jolling. This changed his whole life. The same theory applies to his work and it has been working out pretty well. Now, he’s been permanently based in the Kalk Bay area for almost 4 years with no intention of working abroad. He always has this in mind, “what if a swell comes, and I’m not here to ride it” and so he stumbled into the fortunate career of working at the art department in the movie industry. 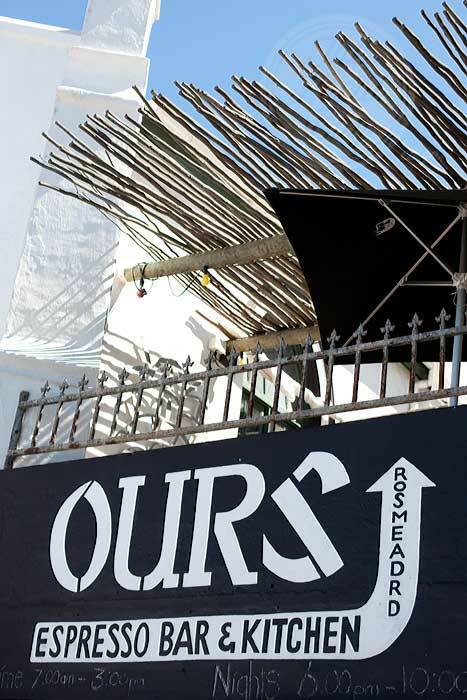 Right now, he is happy supporting a few other Kalk Bay locals from starting out a little restaurant appropriately named “Ours” in Kalk Bay. “I couldn’t be happier with the way things have turned out!” he exclaimed. Back when he was young, he really had an absolute party and he wouldn’t want to change that. “I still love the jol but riding waves is my religion, and nothing gets in its way,” he says. “And hey, if you regret your past I skeem you kind of regretting your present!” he added. Except for one thing, he wishes he had been to Indonesia already. Like most surf boarders, Andrew loves doing airs, however the present take off to landing ratio wouldn’t qualify him for the pilot’s manual, not to mention the license. ‘Been making these performance kind of dumpsters for myself”, he says. He’s been riding 5’11 x 19’5 boards – more or less a few mm’s here or there. Locally, he used to love Kalk Bay, but due to the crowd he’s been searching for a few new options. For options abroad, France, Canaries, and Ireland for him are way too fun, but perhaps he had the most enjoyable experience at Perranporth, a little left wedge in the UK. Of all the places he has visited, Canary Islands falls second best to Cape Town. “They’ve got a lot of waves and not so many riders, that was a while ago though”, he responded. The fact that people are spending too much time in the water to get a “set of waves”, not everyone can afford to buy decent wetsuits, not to mention the accessories like boardies at a scorching R1000. If you ask Andrew about one thing he would want to change about surfing, this would be his reply; “The cost! It seems like these companies are no longer aiming their products at surfers”. Same as the other surfers, surfing also means everything to Andrew and influences all of his decisions. This includes Lyndon Read, one of his oldest friends, who really had a big influence on his life. “He showed me how to shape my own boards, and inspired me to start my own ‘anti-brand’ called Treason”, he says with gratitude.